A private health insurance protects you from high costs in case of illness and therefore it is probably the most important private insurance. Since 2009, a general health insurance obligation applies, so that everyone living in Germany must be health insured. In contrast to the statutory health insurance the contribution calculation of private funds is independent of income and is especially suitable for officers, seld employed and employee with a high income. Because the contribution amount is calculated on the age, state of health and scope of benefits, the private health insurance is also suitable for young and healthy people. The private health insurance is therefore cheaper in all cases than the statutory health insurance and also offers much more services. Additional services can be individually designed and adapted tot he customer. Waiting times for treatments are shorter or completely eliminated. For statutory insured people, the private health insurance offers special solutioins for supplementary insurance. Our experts of FinanzSchneiderei insurance brokers find a suitable solution for everyone at the best price! ➥ What to do in an emergency? The best policy for the private health insurance doesn’t exist for everybody – not even the best health insurer. The suitable tariff in the private health insurance can only be determined induvidually. Our online insurance comparison helps you to get the first orientation. 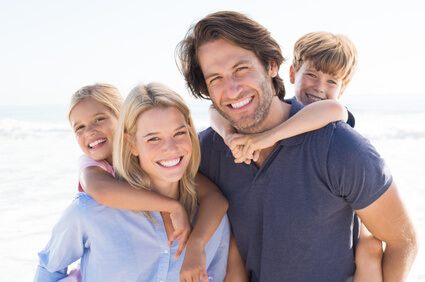 Wether private or statutory protection is the better choice for you personally, you can learn at our company: The experts for the private health insurance of FinanzSchneiderei insurance broker help with the selection of over 800 tariffs. Our decades of experience and our competence offer you additionally an independent decision support. In order to noticeably lower the premiums of a private health insurance, a moderate deductible may be worthwhile: Of all costs submitted, the agreed deductible is always deducted from reimbursement within one calender year. For employees however arise thereby disadvantages: If the insured person is employed, part of the savings goes to the employer. But because the boss only participates in the contribution, the employee has to bear the agreed deductible on his own. In many tariffs a high contribution reimbursement is offered. So insured persons, who haven’t paid any costs in the last year can get back part of their contributions. In some of the offers it is also possible to settle up pension costs, like for example heart,- cancer,- or circulatory care and a professional teeth cleaning. So who stays healthy and is supplied will be rewarded additionally. But beware: With the prospect of a premium refund, some customers are ready to pay their own bills over the deductible instead of settling with the private health insurance. This sometimes prevents private insured people from going to the doctor in time. The private funds are also allowed to reject applications for admission, add risk premiums or even exclude certain diseases, if the risk appears to be too high at the new admission. Therefore you should instruct an experienced insurance consultant. It will be negotiated in your interest with the provider of the private health insurance the best terms, if you already suffer from a previous illness or phyical disabilities. An insurance broker can request several providers and find the best offer on the market for you. Private health plans cover a broader choice of medical and dental therapy and provide broad geographic coverage. By having private medical health insurance you're considered a personal patient and may expect more services from the medical profession. The hospitals and physicians depend to some extent on personal patients to enhance their incomes and for that reason welcome them. A patient may request and will frequently get, physicians who speak their native language. The personal insurance market is served by around 40 insurance agencies, and there are premium/benefit combinations available to fit all budgets. Per person cost of full insurance is based on the level of benefits selected, as well as on entrance age and any pre existing medical conditions. A part of your medical insurance coverage premiums has also been tax deductible from German income taxation since 2010. The authorities insurance premium covers you and all of your non working spouse, whereas the personal insurance premium is compensated for each person insured. You can decrease the monthly cost of your personal insurance from agreeing to your deductible. Private health insurance providers aren't permitted to cancel your policy should you submit claims and are required to put ten percent of your premiums aside as a provision towards maintaining the cost stable whenever you retire. If you're considering buying an expatriate medical health insurance as a replacement for the government strategy, this might be quite stressful because the majority of the foreign insurance agencies aren't registered with the BaFin, to do business in Germany. Even those which are, find their medical health insurance plans don't meet the standards set from the reforms that are new. 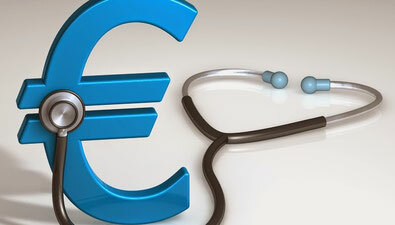 The crux is the German government claims that there might be no set limits on compensation levels and there might be no yearly out-of pocket obligations than 5, 000 Euros. Other issues involve the way the insurance coverage premiums are calculated. The present situation is that none of the significant worldwide expatriate health insurers will offer a German language certification. Whether or not this will change is dependent on the Germans recognizing directives for cross border selling of medical health insurance for non Germans seeking a residence permit. Be cautious to avoid limited term policies without a requirement of underwriting. These coverages very seldom offer an extension and don't cover existing conditions. In case you choose to remain longer than a limited contractual term and the medical health insurance contract expires, it might be both difficult and more costly to get new medical coverage in there. Additionally, despite the fact that you might have purchased this type of plan out of a German medical health insurance provider upon arrival in Germany, then it might not be recognized from the visa government and you are going to be made to buy a permanent medical health insurance plan so as to be permitted to remain. Penalty fees might apply. People living in Germany can get well protected against all kinds of eventualities of their everyday life by taking out an insurance policy. Generally, insurances can be divided into two groupes: your personal insurances on the hand and the property insurances for your property on the other hand. Property insurances protect objekts from destruction, damage or loss, personal insurances offer you protection from particular risks of life, in case of illness or accidents. Below is an overview of various types of property insurances. Supplementary insurance is used to fill care gaps of your health insurance. It is concluded with a private insurance company. The third-party liability insurance covers damages which are due to careless action, missing performance or thoughtless behavior of duties. It is applicable to all damages for which you are responsible to pay for. Only damages to third parties are covered by the insurance. The Legal insurance covers costs of a court trial, including a lawyer, fees for expert witnesses and legal expenses.In addition the other party’s costs are covered if you should lose the case. You can only make claims after a certain waiting time that begins upon obtaining the insurance. Every driver of a motor vehicle is committed to transact an automobile liability insurance. The insurance covers damage which arise from an accident caused by the driver. It covers damages on foreign cars, but can be extended to your own vehicle associated with additional costs. A life assurance covers the risks of death or disability and can also be used as an old-age provision. Various contract options are offered depending on your risk profile. A fixed insurance sum is stipulated which is paid out either after a specified number of years in case of survival or earlier, in case of death. What to du in an emergency? What to do in an emergency? Especially if you need medical care in an emergency or if you need a hospital quickly, it is important to know who to contact and how to obtain such assistance. Below you can get some informations, how to act. I was impressed with how quickly we were able to start the health insurance. I appreciated talking to Tobias - the insurance coverage advisor. He enabled me to talk with someone right away. Important information about our services - Our health insurance advisers are always there for you.